Be nice - it can save you a fortune! You should know where they all are and know about the times items get reduced but be careful as often item get placed into these section early on in the day with very little discount to be had. Normally they will have a fresh food clearance section (near the flowers/fruit), chilled food reduced (on one of the chilled aisles), standard reduced (near crisps/tins etc). If you’re a true money saver, you could try and sweet talk the staff who reduce the food, often you won’t get anywhere but it’s certainly worth a go if money is super tight, we’ve seen beef joints go for a few pence in the past. It’s quite strict these days but if you catch them at the right time you might get lucky. Normally an hour before closing will be your best bet & in a 24/7 shop between 6pm-8pm. If you’ve picked up a reduced item and then continued shopping, there is no harm in going back to the reduced aisle and asking a member of staff to see if an item can be reduced further. Worst case they say no. We’ve also been known to get ‘contacts’ within stores, they send us text messages if they spot good deals, glitches or when they’re about to reduce food, they’re obviously risking their jobs by doing it but the odd £5 note in their pockets keeps them sweet. We all know about the fresh bread smells, sweets by the tills & now even doughnuts by the self service lines. Don’t let them tempt you! Be quick, think like a ninja. Get in and out as quick as possible. Stay focused on what you need and get out. Remember the longer you stay in the supermarket, the longer they’ve got to tempt you and the more you will spend! 3) Remember supermarkets know you (probably better than you do) and how you shop! Think about the last time you went supermarket shopping, I bet you walked anti-clockwise around (or at least turned right upon entering), if you didn’t then I bet your ‘journey’ around the store started with your best intentions (i.e. fresh fruit & veg) and then slowly moved to your guilty pleasures (i.e. biscuits, crisps & alcohol). If none of those were true then watch out your local supermarket is one step ahead of even us. 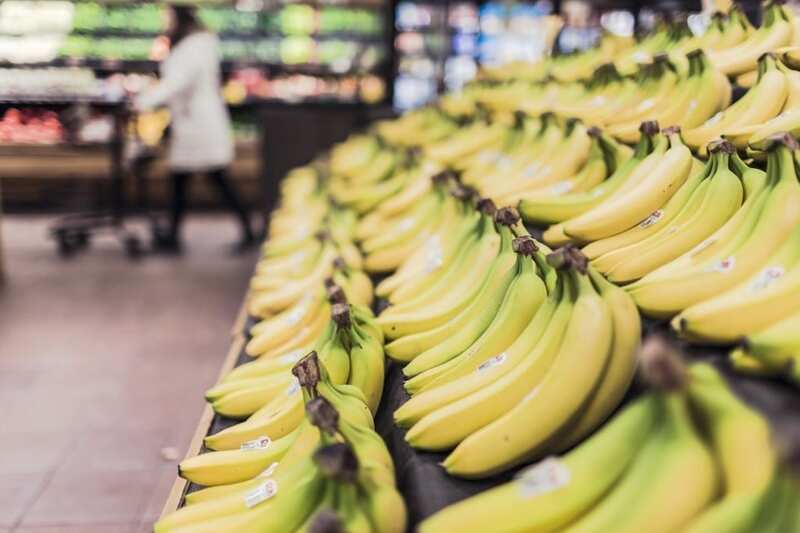 Sounds like your supermarket is being really helpful and even might be helping you compare prices elsewhere….. Wrong [sort of], whilst this is sort of true we believe it’s actually so you feel more likely to stay longer in store (and buy more). There is also a rumour circulating that it’s actually so they can ‘track’ the location of shoppers using triangulation, it wouldn’t surprise us! GPS tracking is already being tested! Remember keep your head down, think like a shopping ninja and you will become one. It doesn’t take long to train your brain to ignore your temptations but does takes a little practice. I think every money saving blog/website/article & even Mrs Moneypenny, bless her, tells you to make a shopping list, create a budget & to keep to them. Nothing beats it but you can ‘try’ and make it a little bit more fun. Play the ‘I don’t want to get ripped off and make *insert supermarket name* even more profit this year’ game. We use our phones to create the shopping list, use a few apps to compare prices whilst shopping and generally try and make the experience quick, fun & simple. 6) Pay day doesn’t make you rich! We’ve all seen the people in the street with so many bags they can barely carry them all! Never shop on payday or even pay week. Try this out for the next few months and you will amazed. Supermarkets know when pay days are, even when student loans come in. Don’t fall for it, they’re always 2 steps in front of you. You will ALWAYS over spend if you’ve got more money in your pocket than normal. Just don’t do it. Supermarkets are not here to save you money, they’re businesses that are (generally) trying their hardest to strip you of as much cash as possible, whilst still trying to make you feel respected and not ripped off. Deep down they want you to get ‘addicted’ to as many of their products as possible, using ‘special’ offers and loyalty schemes to ensure you return time after time. Amazingly the large majority of the country simply bend over and accept it, some due to time restraints (sort of understandable) but mostly due to the ‘I can’t be bothered’ nation. Don’t be brand loyal, go to whoever is giving you the best prices that week! Deep inside our brains we’ve been trained to buy in bulk to save money long term (99% of the time that’s the correct thing to do) but Which? found something like 600 items that were priced higher per ml/gm when you bought the larger available pack/bottle etc. So always double check the price per weight etc underneath the normal price & compare with smaller & bigger packs. 9) Know your rights!!! & ALWAYS take your receipt. We always keep an eye on the prices whilst the assistant scans our items but we will NEVER tell them if something is wrong. Why? Because if an item is priced higher than the you believe the SEL (shelf edge label) stated then you might be entitled to a refund + an extra amount for this error. Once you’ve paid you simply walk to customer services and then the fun starts. Both Tosco* & ADSA* have in store policies that will give you refunds + an extra amount for the error. ADSA* will offer a refund of the difference + £2 for each pricing error (could be ticket price, member of staff scanning something wrong etc). Morris0n’s, Sainsbob’s, Lidl, Aldi, Co-0p, M&S & we believe most other supermarkets/stores will refund the difference, give a total refund or exchange the item. You might get extra if you complain about the inconvenience caused or if you were made to feel embarrassed etc. Often best complaining on the phone after you’ve left the store. 10) Be careful of naughty promotions & compare those prices! Charm pricing is when an item has a .x9 or .99 at the end of the price, it’s used the world over to trick shoppers brains into thinking items are cheaper, don’t let it fall you. However a more extreme technique we’ve seen recently is where supermarkets imply that buying X for £Y is cheaper when in fact there is no difference, they’re just planting a number in your head, hoping you will just put X amount in your trolley. We’ve also started to see offers like £1.49 each or 2 for £1.40, they’ve started to do this as it looks even better to shoppers eyes than just 50% off or half price + they get to sell more of the items than if it was just 50% off. Take 5 minutes to work out roughly how much you should be paying for certain items, compare those prices on something like http://10ws.co/15Rs9d7 whilst creating your list. Remember even if you think you’re in full control of your shopping and you believe you’re a rational shopper, you’ve probably already lost. The supermarkets are probably already one step ahead of you. They’ve managed to get you in the door & that can be the hardest part. We wish you luck and never to stop questioning prices (even when you become millionaires), don’t let them win!